You’ve got a ton on your plate mama. And if you’re like me you don’t have time for things to get off schedule. When things get out of whack, balls get dropped. And when balls get dropped life gets stressful. 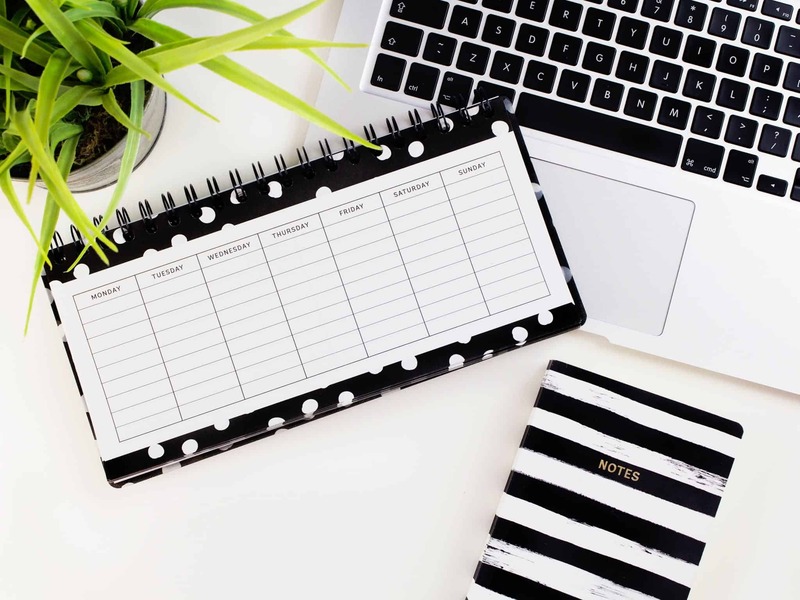 Mom Life is stressful enough, who needs the added stress of being disorganized? By doing these 5 things at the beginning of each month you will stay on track and get more done in less time. This post may contain affiliate or referral links. Read my disclosure policy here for more information. Keeping an organized schedule is vitally important to keep things moving in our family. And even though we plan our entire year in January, I review the family schedule each month. In just one hour you can complete your entire monthly schedule, and you’ll be ready to start the month off on the right track. Obviously, to review your budget, you have to have one. So if you don’t have one, that’s your first step. Make a budget. Free online tools like EveryDollar.com by Dave Ramsey Media and Mint.com by Intuit make it really easy. If you already have a budget (or once you create one), take a few moments at the beginning of each month to review it. Does it need to be adjusted? Have you had a change in income? Have you added new expenses? Reviewing your monthly budget is an important part of getting each month off to a great start. I can’t remember the last time I wrote a check to pay my bills. In today’s digital world, you can do almost everything online. And scheduling bills through an online payment service is an easy one. Within 5 minutes all your bills are scheduled and ready for automated for delivery when due. Easy peasy. If you still like to write checks, that’s ok too. Sit down with your budget and allocated spending plan, write checks and date them when the bills are due. Don’t forget to use your electronic organizer to set reminders to mail the payments – something you wouldn’t have to do if you used online bill payment. But, to each his own. Check with your bank to find out if they have bill payment and give it a try. If you don’t like it, go back to writing checks. But I think you’ll like it because it saves you time and you won’t accidentally miss a payment. Now that you have your budget you know where your money is going. If you’re planning a big expenditure, add a line item to your budget to save each month and pay for it. We’re not a completely debt free family, but we’re working on it. We make the choice not to go into debt when we can avoid it. Even if your goal isn’t to remain (or become) debt free, the gratification of making a plan and being able to follow it through is a great motivator. You can even set up automated transfers for those months when you’re tempted to spend that money on something else. It’s a small step to set yourself up for success. When I asked Harold what things everyone should do each month he said, “Pay the mortgage and buy toilet paper.” Oddly enough, that was already on my list. Even though we have a $100 grocery budget each week, each month I set aside $50 for household essentials. Toilet paper, laundry detergent, lotion, soap, etc. are not items that get consumed in a week’s time. Take them off the weekly list and make monthly purchases. Sign up for a service like Grove Collaborative and they’ll ship your products to your door. Use my referral link and get a free 5 piece gift set. What things do you do each month to get off to a good start?